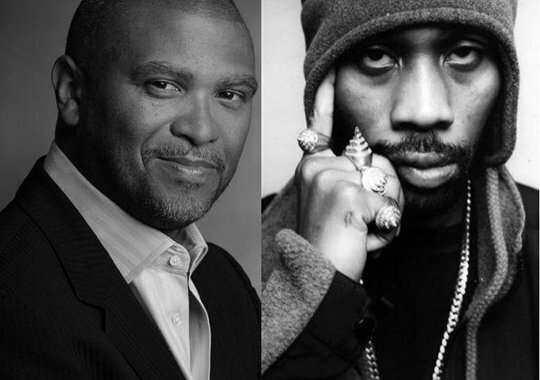 Recall July’s announcement that Reginald Hudlin and RZA had reached an agreement that would see them working together on a series of projects, with specific interest in producing a series of comic-related projects, some likely to be directed by RZA himself, who’s making his directorial debut this year with The Man With The Iron Fists. And maybe Hudlin as well, who, we might forget, is a director in his own right. 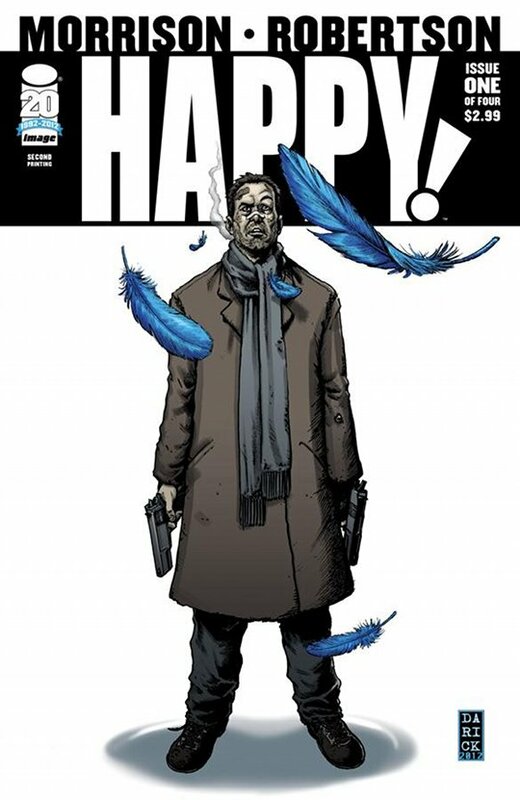 Here’s the first announced project that will be developed under this new banner: comic book author Grant Morrison’s latest work, titled Happy! RZA will direct, coming off his debut, The Man With The Iron Fists, and Hudlin will produce. Morrison will adapt his own graphic novel to script. Happy! centers on Nick Sax, a scummy corrupt ex-cop and hitman. After a hit goes bad and Sax is left gravely injured, he is suddenly able to see Happy, a cheerful little blue horse who won’t give in to adversity, no matter what unpleasant obstacles come in the way. Days before Christmas, Sax teams up with the saccharine horse to save the life of a troubled kid and maybe find redemption amid the squalor of his city. Basically, it’s about an ex-policeman, a kind of golden boy cop, who has fallen on hard times. He’s lost his wife, he’s lost his career, and now he works as a hit-man for the mob, and does these miserable jobs to get money to pay for medication, booze, and drugs. A hit goes wrong one night around Christmas time, and this character, Nick Sax, is basically badly injured. And when he comes to, he’s the only person in the world who can see a little blue flying horse named Happy. And Happy tells him that he has a special mission for Nick, and that’s kind of where we go from there. It’s taking the most innocent, charming little cartoon creature and putting him side-by-side with someone who is like the Bad Lieutenant, this absolutely horrendous specimen of humanity. And watching these two characters strike sparks off of each other as they try to save the day and possibly fail. The project isn’t yet set up at a studio yet, so there are still a few steps to go before we can call this a certainty, as is the case with most projects we announce on this site. THR compares the tone and setting of Happy! to a combo of It’s a Wonderful Life, Sin City, and Care Bears. Quite a mix there! Grant Morrison, MBE is a Scottish comic book writer known for his nonlinear narratives and countercultural leanings; some of his previous work includes DC Comics’ Animal Man, Doom Patrol, The Invisibles, All-Star Superman, and Batman, and Marvel Comics’ New X-Men and Fantastic Four. RZA’s Man with the Iron Fists, opens November 2. Kudos to both he and Hudlin on the score, and we’ll be watching this one closely as it progresses.